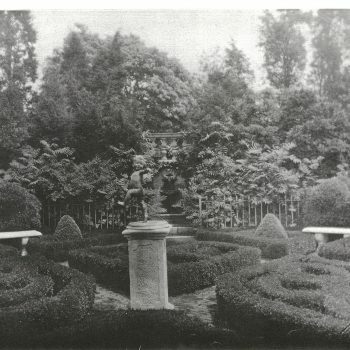 In 1919, Mary Harkness commissioned Beatrix Farrand to convert a beech- bordered tennis court to a formal flower garden at the southeast corner of the Mansion. 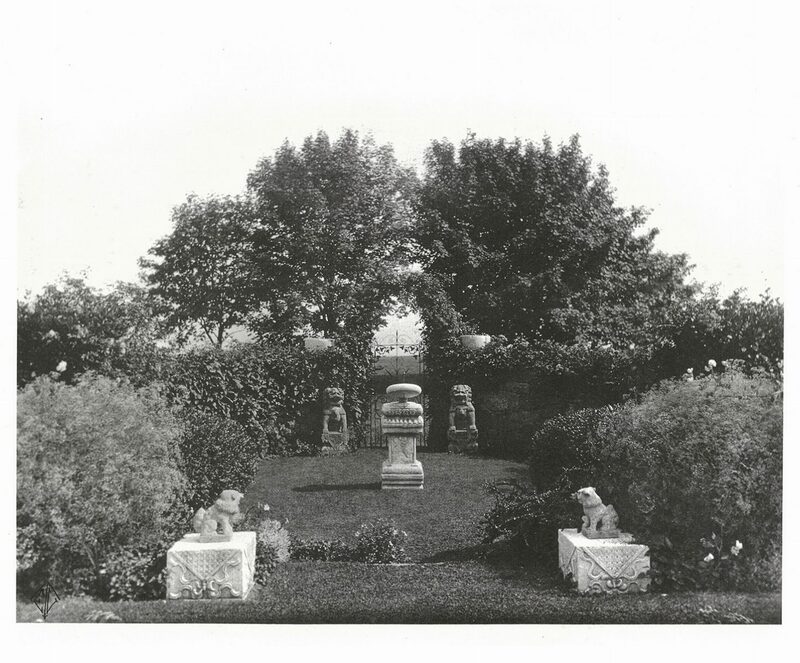 During the Harkness’s travels to the Far East, the couple had acquired a collection of oriental statuary (primarily Korean) that Mary wished to have showcased in the new garden. 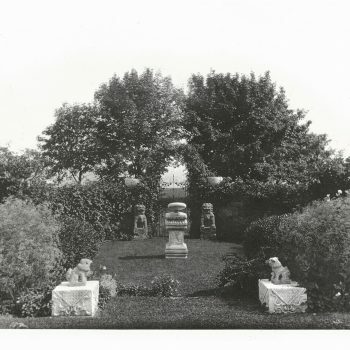 Beatrix Farrand designed an English style garden in colors of purples, pinks, soft yellow, and white to evoke a feeling of serenity to compliment the Asian statutes. 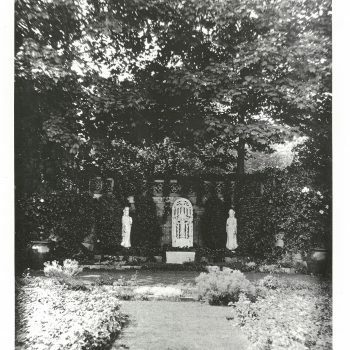 A marble story monument depicting the “Seven Ages of Woman” stood at the north end of the garden. 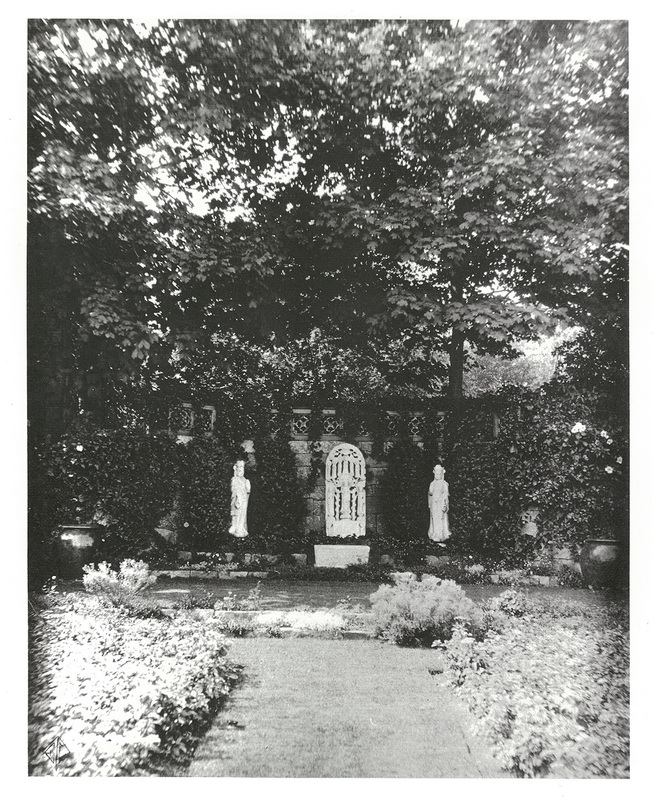 Statutes representing the individual “Ages” were spotted along the garden’s borders. 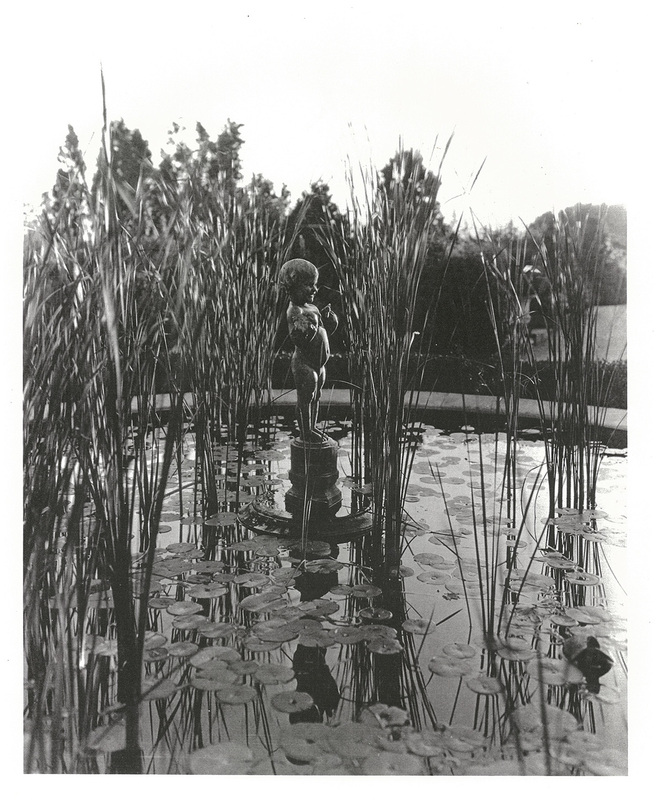 A pool with a jade pebble base was incorporated into a sunken garden at the center of the new East Garden. 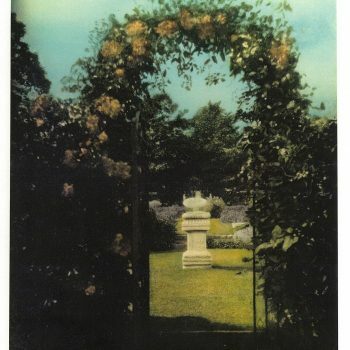 A single jet of water from the pool’s fountain broke the silence in the tranquil surroundings. A handsome granite wall enclosing the space was installed after the garden was completed. Farrand personally supervised its installation. The East Garden was filled with Mrs. Harkness’s favorite flower, heliotrope. grown as both topiary and bedding plants. 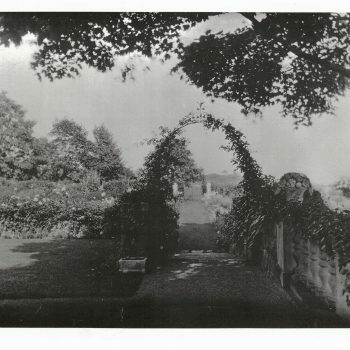 Today, heliotrope’s heady vanilla scent strongly wafts in the foggy morning air delighting Harkness visitors as it once did Mrs. Harkness.. 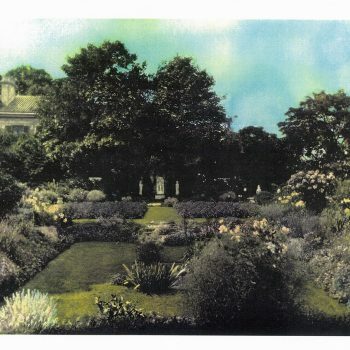 The original heirloom strain of heliotrope has been propagated on the estate for 100 years, first by the Harkness’s Italian gardeners, next by Park staff and today by Friends of Harkness volunteers in a restored section of the Lord and Burnham Greenhouse. 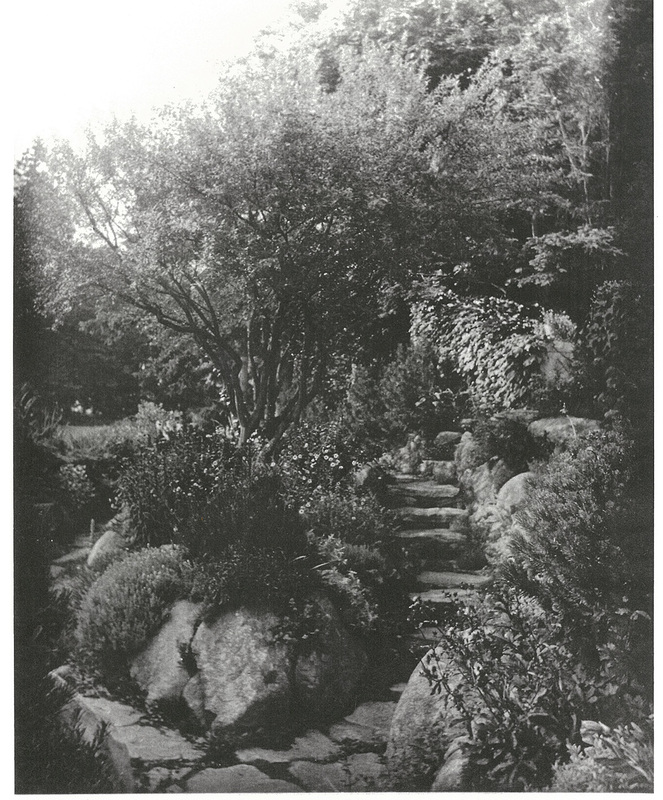 Mary Harkness was so pleased by Farrand’s East Garden design that she asked, in 1922, that Farrand redo the planting plan of the West Garden. 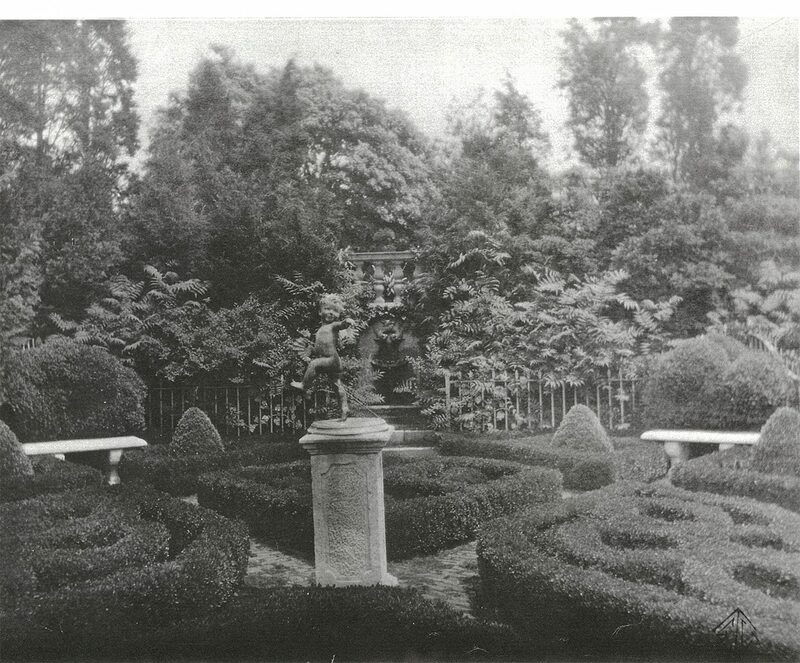 This plan had originally been developed by the Boston landscape architecture firm, Brett and Hall , under the direction of architect James Gamble Rogers. 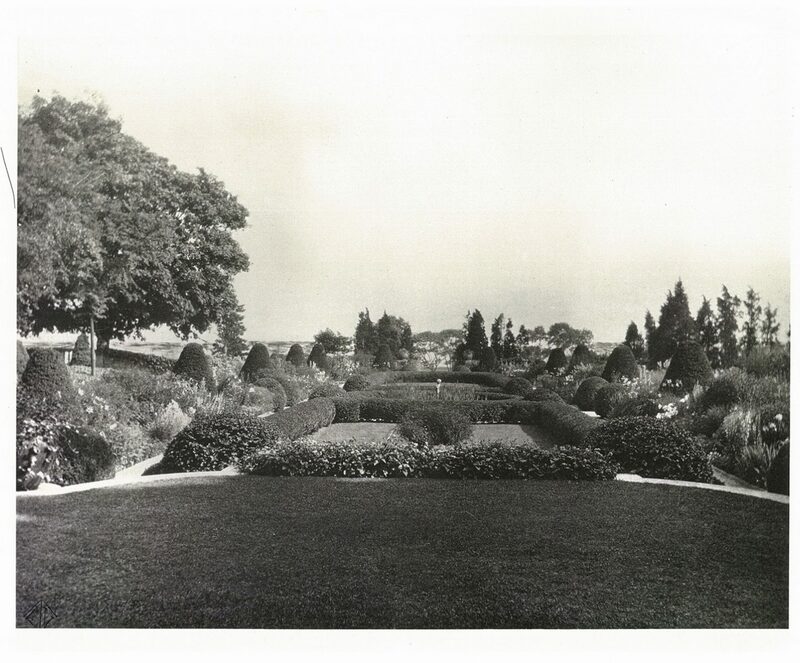 Farrand banished the straight rows of pedestrian summer annuals characteristic of the original design and replaced them with curving arcs of succeeding blooms sharing space in a tapestry of changing color from early spring until late autumn. 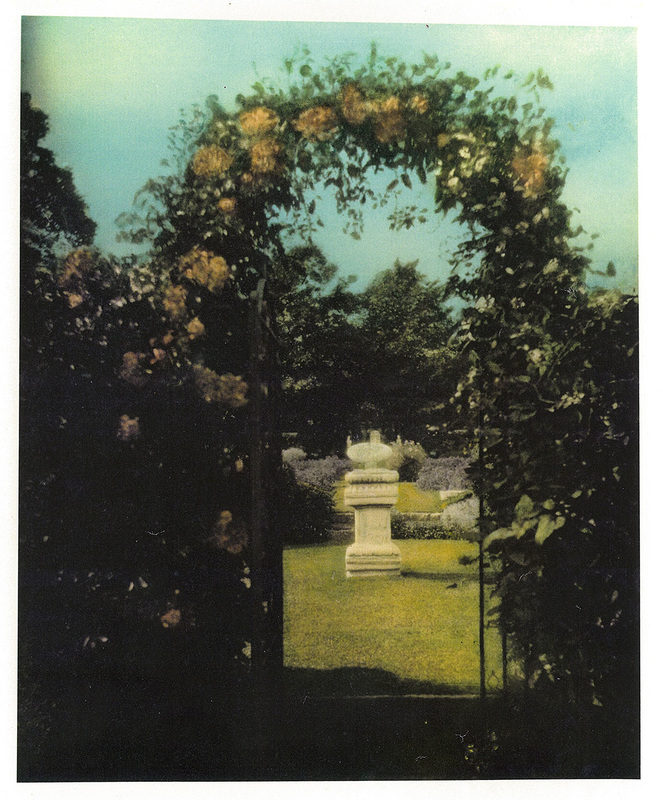 Loosely circular drifts of contrasting spires and domes of flowers in a palette of sunny colors tempered by purple, blue and white lent a lively “Mediterranean” feel to this garden in contrast to that of the serene English-style East Garden. 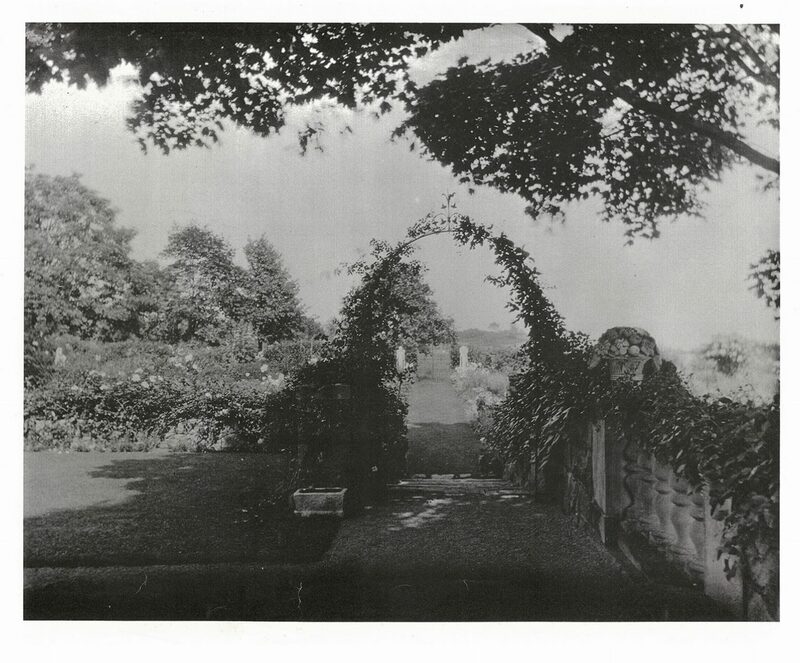 Clipped evergreens were planted throughout the garden with flowering vines scrambling atop them. 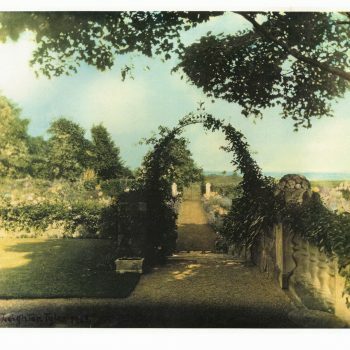 This treatment was a Farrand signature as well as the planting of roses and a variety of climbers on walls to lend the scene a more romantic air. 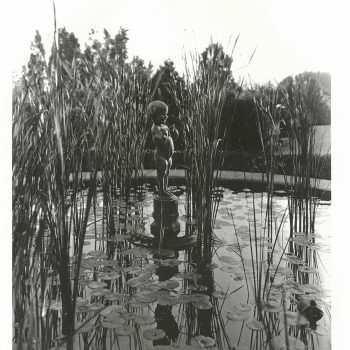 The Italian Garden’s central pool was transformed into a pond with cattails and water lilies and highlighted a “Duck Baby” statute by prominent artist Edna Parsons. 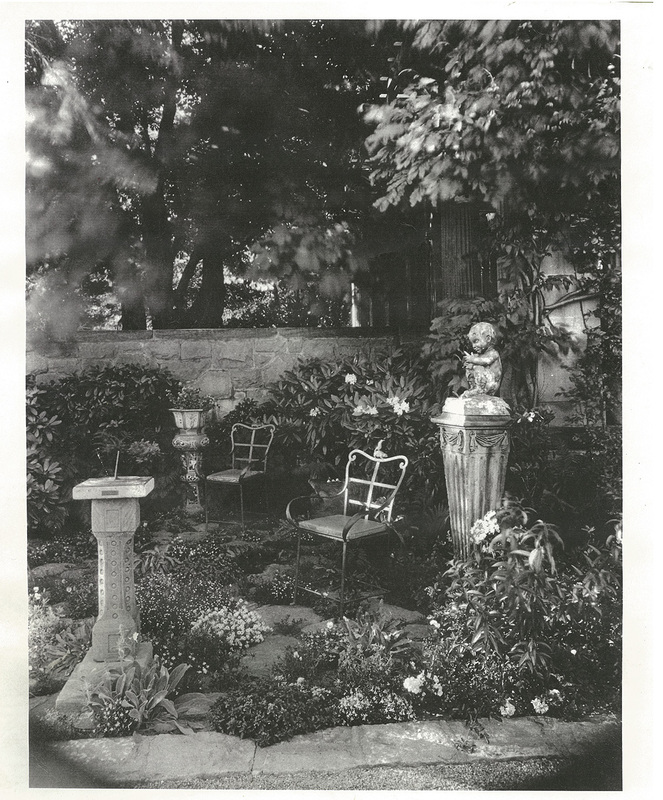 The lovely James Gamble Rogers Pergola at the north end of the grand garden space received a new interior lattice roof design and its back wall was removed. 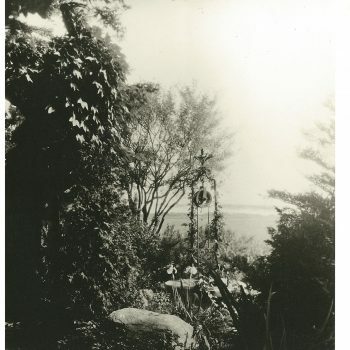 Between 1927 and 1929, Farrand designed her favorite Harkness garden, the Alpine Garden, which reflected the landscape of her beloved native Maine. 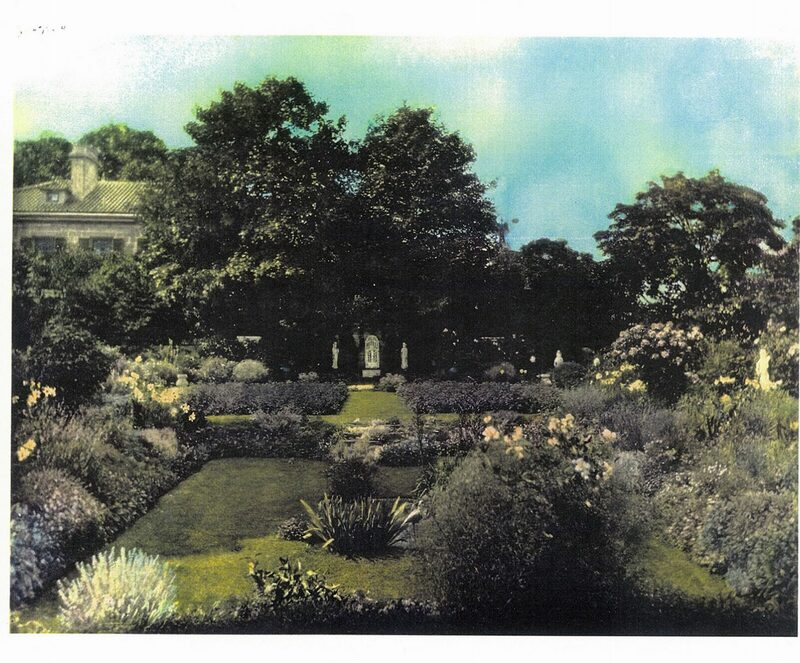 This garden was only partially designed on paper. 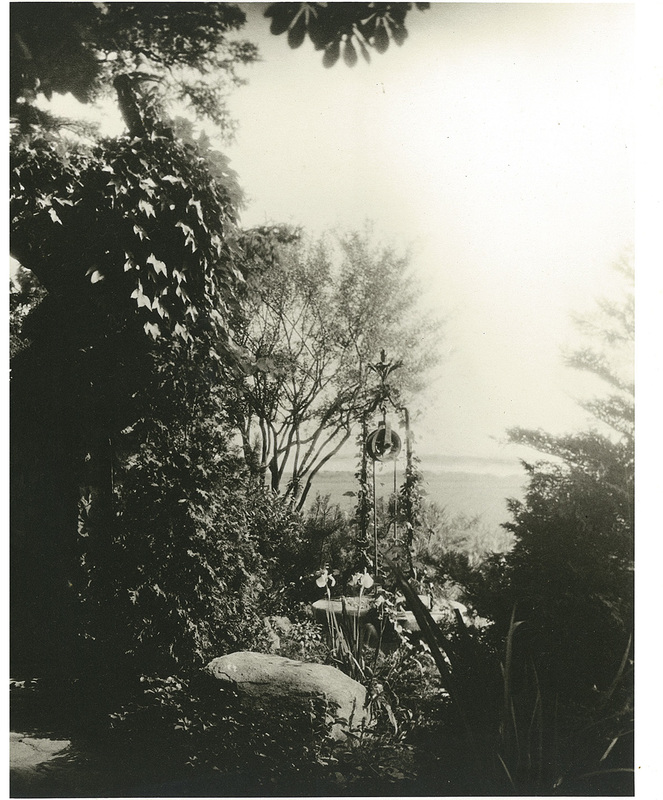 Once the walk and rock pool were in place, Farrand designed the layout on site as she supervised the setting of the rocks. 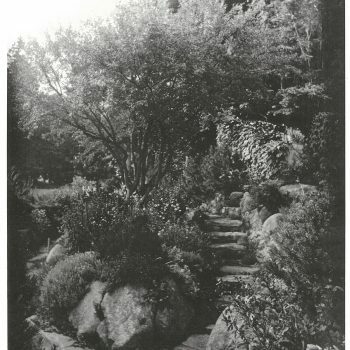 A stream bed was added to allow water to flow down from the West Garden through a series of inverted flower pots with whistles in their drain holes, ending at a cave with a “croaking” frog statute at the rock pond’s edge. Dwarf varieties of evergreens, an abundance of flowering spring bulbs and summer perennials in yellows, blues, pinks, and whites highlighted this native naturalistic styled garden. 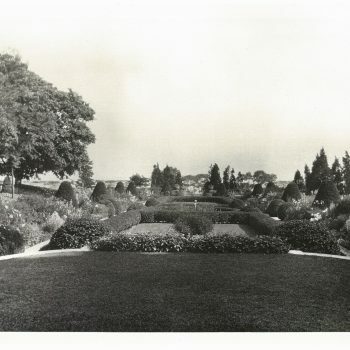 Farrand also improved the parkland and golf course by choosing trees and shrubs that were visually interesting year round. 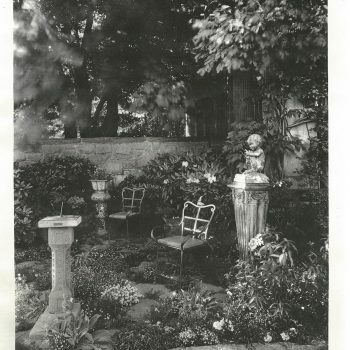 She planted trees in clumps of 4-6 trees; those types chosen exhibited exceptional form.